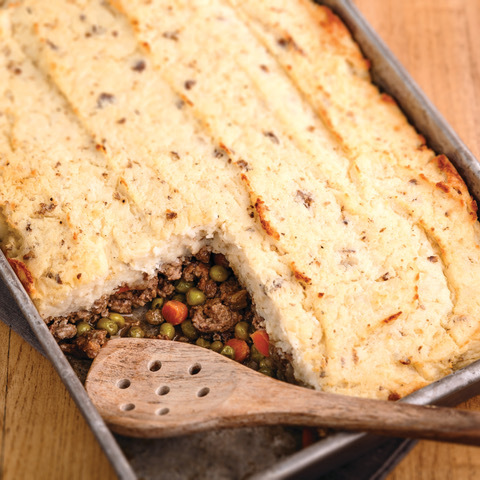 Shepherd’s Pie, the quintessential casserole dish of the United Kingdom, has become quite the American comfort food mainstay as well. This savory casserole of meat and vegetables topped with golden brown mashed potatoes is a hearty full meal that can more than feed your whole family—perfect for St. Patrick’s Day!!! Enjoy. 1. Preheat the oven to 375°F and spray a 13 x 9-inch baking dish with nonstick cooking spray. 2. Prepare the Homestyle Mashed Potatoes according to the recipe’s directions. 3. Heat the canola oil in a large skillet or Dutch oven over medium-high heat. Add the ground beef to the skillet and brown well, crumbling the beef as it cooks. 4. Add the onion, carrot, celery, salt, pepper, and garlic powder to the skillet and sauté for 5 minutes, or until onions are translucent and celery begins to soften. 5. Stir the flour into the beef and vegetables and sauté for 1 minute. 6. Add the beef broth, Worcestershire sauce, and peas to the skillet and bring to a simmer. Let simmer for 5 minutes, or until the sauce has slightly thickened and the carrots are tender. 7. Spread the beef and sauce mixture evenly across the bottom of the prepared baking dish. Spoon the Homestyle Mashed Potatoes over the top of the beef and spread to even out. 8. Bake, uncovered, for 30 minutes, or until the top of the potatoes has lightly browned. Let cool for 10 minutes before slicing. For 100-calorie portions, slice into 32 sections by cutting four rows vertically by eight rows horizontally. Nutritionist, cookbook author, and product development expert Mona Dolgov lives her lifelong mission of creating healthier food products, recipes and inventing simple culinary tricks to easily create practical and healthier lifestyles. She has authored and published over 20 cookbooks for kitchen appliances, health and wellness products and grocery retailers, focused on simplicity and using nutritious ingredients. She recently co-authored The Perfect Portion Cookbook a 5-star rated cookbook (with Hollywood star Anson Willams) that makes American classics healthier and guides consumers to healthier portion control. This book (and Mona) was featured on the Today Show, The Doctors, Huffington Post, and on several talk shows throughout the United States. 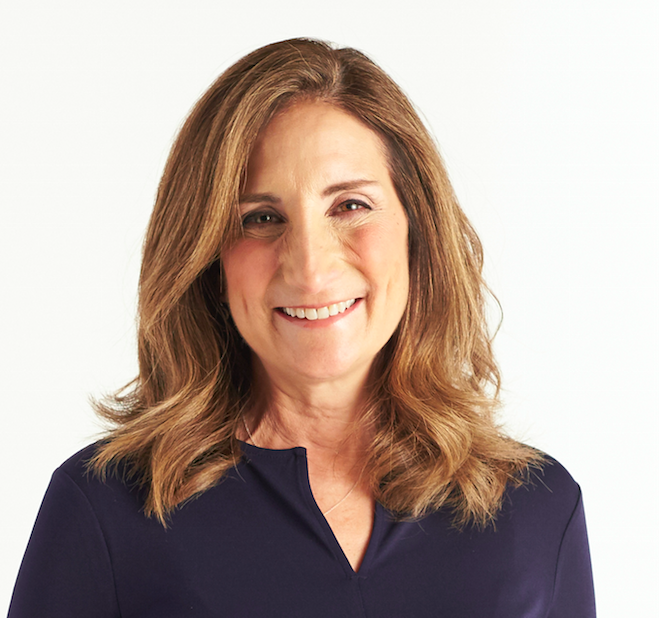 Mona is President of You Live Right LLC, helping corporate partners and individuals create relevant and fun nutrition, food and recipe content to create healthier lifestyles. Learn more at www.theperfectportion.com and www.youliveright.com, and on Social Media @monadolgov and @100calportions. Nutritionist, cookbook author, and product development expert Mona Dolgov lives her lifelong mission of creating healthier food products, recipes and inventing simple culinary tricks to easily create practical and healthier lifestyles. She has authored and published over 20 cookbooks for kitchen appliances, health and wellness products and grocery retailers, focused on simplicity and using nutritious ingredients. She recently co-authored The Perfect Portion Cookbook a 5-star rated cookbook (with Hollywood star Anson Willams) that makes American classics healthier and guides consumers to healthier portion control. This book (and Mona) was featured on the Today Show, The Doctors, Huffington Post, and on several talk shows throughout the United States. Mona is President of You Live Right LLC, helping corporate partners and individuals create relevant and fun nutrition, food and recipe content to create healthier lifestyles. Learn more at www.theperfectportion.com and www.youliveright.com, and on Social Media @monadolgov and @100calportions. Second Act Dating: Does One Kiss Mean A Future?